What is DataTransportation? Computer security specialists has determined that the DataTransportation is adware (also known as ‘ad-supported’ software). What is the purpose of adware? Adware is short for ad supported software. Additionally, some malware has adware built into the program. How does adware work? Adware presents undesired ads that appear in pop ups or advertising links on computer screens. Clicks on the ads produce a monetary payoff for the software creators. Adware can also include other forms of malicious software. It can steal personal info from the MAC OS and pass it on to third parties. Adware software has also been the basis for hacking to gain access to the MAC OS. Adware run in the background when you’re online, and adware software can slow down your computer and affect its performance. 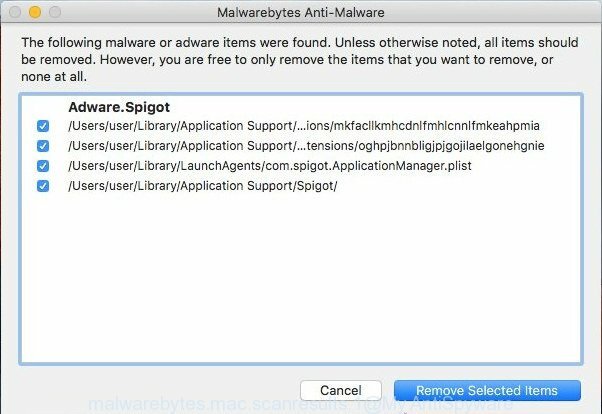 There are applications that can remove adware software from your MAC system and some of them are free and listed below, such as MalwareBytes AntiMalware. Not all unwanted programs like DataTransportation adware that causes multiple annoying advertisements and pop ups are easily uninstallable. You might see pop ups, deals, text links, in-text advertisements, banners and other type of advertisements in the Chrome, Safari and Firefox and might not be able to figure out the program responsible for this activity. The reason for this is that many undesired programs neither appear in the Finder. Therefore in order to completely remove DataTransportation adware software, you need to perform the following steps. Certain of the steps below will require you to exit this web-page. So, please read the few simple steps carefully, after that bookmark or print it for later reference. Don’t know how your web-browser has been hijacked by adware software? Manually removing the DataTransportation is also possible, although this approach takes time and technical prowess. You can sometimes find adware software in your computer’s list of installed software and uninstall it as you would any other unwanted program. First, you should try to identify and uninstall the program that causes the appearance of annoying advertisements or web-browser redirect, using the ‘Applications’ list that located in the Finder. 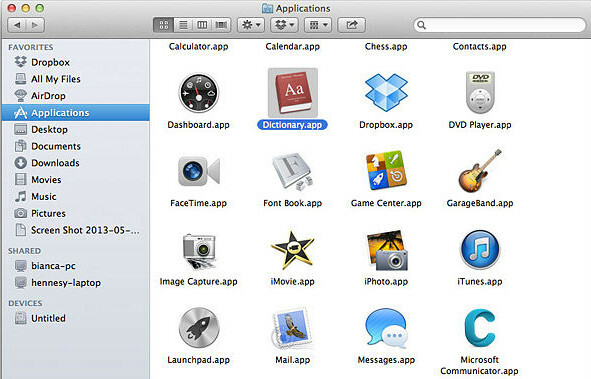 Very carefully look around the entire list of software installed on your MAC. Most probably, one of them is the DataTransportation adware that causes web-browsers to display unwanted pop-ups. If you’ve many applications installed, you can help simplify the search of malicious software by sort the list by date of installation. Once you have found the ‘DataTransportation’, ‘DataTransportation 1.0’, other unwanted or unused program, right click to it and select “Move to Trash”. Another solution is drag the program from the Applications folder to the Trash. If you find that Safari internet browser settings having been replaced by DataTransportation adware, then you may revert back your settings, via the reset web browser procedure. Run Safari internet browser. 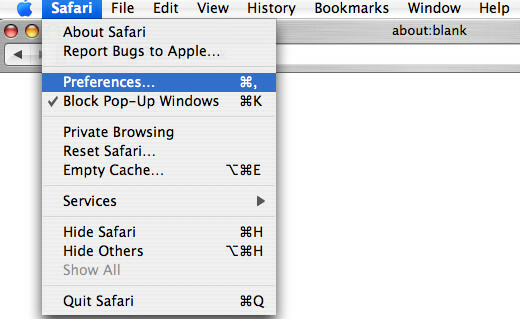 Next, choose Preferences from the Safari menu. First, click the “Security” icon. Here, select “Block pop-up windows”. It will block some types of pop-ups. Now, click the “Extensions” tab. Look for dubious extensions on left panel, choose it, then press the “Uninstall” button. Most important to remove all suspicious extensions from Safari. If you are getting DataTransportation , then you can try to delete it by resetting Chrome to its default values. It will also clear cookies, content and site data, temporary and cached data. It’ll keep your personal information like browsing history, bookmarks, passwords and web form auto-fill data. Carefully browse through the list of installed extensions. If the list has the add-on labeled with “Installed by enterprise policy” or “Installed by your administrator”, then complete the following guidance: Remove Chrome extensions installed by enterprise policy otherwise, just go to the step below. 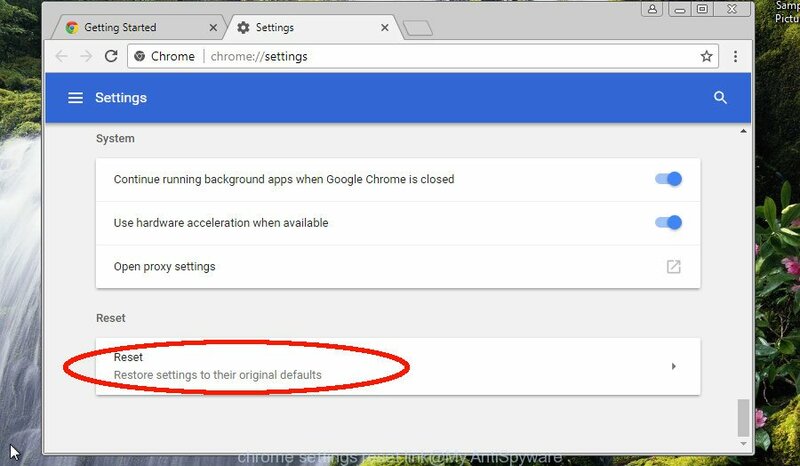 If the Mozilla Firefox settings have been replaced by the adware, then resetting it to the default state can help. It’ll save your personal information like saved passwords, bookmarks, auto-fill data and open tabs. Click the “Refresh Firefox” button at the top right of the Troubleshooting Information page. Select “Refresh Firefox” in the confirmation prompt. The Mozilla Firefox will start a procedure to fix your problems that caused by the DataTransportation adware software. When, it is finished, click the “Finish” button. If you are unsure how to delete DataTransportation app easily, consider using automatic adware removal software that listed below. It will identify the DataTransportation and delete it from your computer for free. You can remove DataTransportation malware automatically with a help of MalwareBytes Anti Malware (MBAM). We advise this free malicious software removal tool because it can easily remove hijacker, adware, potentially unwanted apps and toolbars with all their components such as files, folders and other system entries. Please go to the following link to download the latest version of MalwareBytes Anti-Malware for Apple Mac. Once the downloading process is finished, close all windows on your Apple Mac. Further, start the saved file. Follow the prompts. The MalwareBytes Free will automatically start and you may see its main window as displayed on the screen below. Next, press the “Scan Now” button to find DataTransportation malware. A system scan may take anywhere from 5 to 30 minutes, depending on your machine. During the scan MalwareBytes AntiMalware will scan for threats exist on your MAC. Once MalwareBytes AntiMalware completes the scan, you’ll be shown the list of all found threats on your machine. Review the scan results and then press “Remove Selected Items” button. The MalwareBytes will remove DataTransportation which cause unwanted pop ups to appear and add items to the Quarantine. We recommend to install an ad blocking program. The ad blocking tool such as the AdGuard is a application which basically removes advertising from the Internet and stops access to malicious websites. Moreover, security experts says that using ad blocker programs is necessary to stay safe when surfing the World Wide Web. 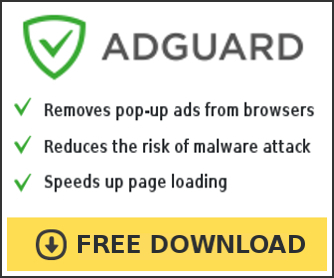 Click the link below to download AdGuard. After the download is finished, run the downloaded file. The “Setup Wizard” window will show up on the computer screen. Follow the prompts. AdGuard will then be installed. A window will show up asking you to confirm that you want to see a quick guidance. Click “Skip” button to close the window and use the default settings, or click “Get Started” to see an quick tutorial which will assist you get to know AdGuard better. Each time, when you start your Apple Mac, AdGuard will start automatically and stop unwanted advertisements, block harmful or misleading websites. In most cases, the adware software come as a part of the setup packages from a free hosting and file sharing web sites. So, install a free applications is a a good chance that you will find a bundled adware. If you don’t know how to avoid it, then use a simple trick. During the installation, select the Custom or Advanced setup option. Next, click ‘Decline’ button and clear all checkboxes on offers that ask you to install optional applications. Moreover, please carefully read Term of use and User agreement before installing any software or otherwise you can end up with another unwanted application on your MAC like this adware software. Now your computer should be free of the DataTransportation adware software that causes internet browsers to display undesired pop-ups. We suggest that you keep MalwareBytes (to periodically scan your MAC system for new adware softwares and other malicious software) and AdGuard (to help you stop undesired popups and malicious pages). Moreover, to prevent any adware, please stay clear of unknown and third party programs. If you need more help with DataTransportation related issues, go to here.